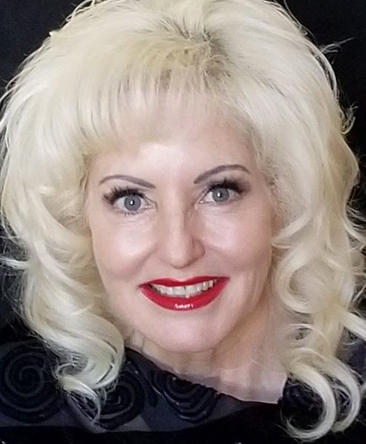 Hi my name is Candice, a professional Psychic, Tarot Reader and Astrologer for more than 40 years. I have always been drawn to this spiritual work and practice (I wouldn’t really call it ‘work’ – too fascinating and enjoyable!) because this world needs all the light it can get. If people can benefit from what I have learned and experienced in my life, why not see if I can help? I have led a very fulfilling and interesting life and career. 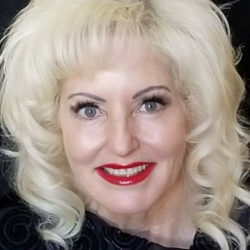 My formal educational background is in Psychology, Communications and Theatre, however I spent most of my career as a high-profile radio host and astrology columnist here in the USA. It was through a radio work colleague that inspired me to undertake more metaphysical studies at the Church of Light when I was 20 years old. I already had an interest in the Metaphysical Arts/Sciences, as this was passed down from my grandmother to my father, and then to me. My studies at the Church of Light began an educational journey combining Astrology, Numerology, Energy Healing, the Sacred Tarot and many other metaphysical tools that I use today. I am SUPER good at manifestation! I have helped many of my clients get out of their own way and resolve relationship, financial and family issues – usually rooted in a lack of clear intent, or conscious or unconscious habit patterns, often going back to previous lifetimes. Watch what you wish for because once you are in vibrational alignment with your goals, you WILL attain them! When you find out how powerful manifestations are, how easily they can bring about change – when that lightbulb goes off… it’s pure joy! Even if the information you receive from Spirit makes zero sense at the moment, Spirit wants you to make note of it, because the lessons come at the perfect moment in Divine Timing. We never know what brilliant surprises the Universe has in store if we just go with the good! If you would like a reading from me please use my ID No. 2174. Candice is rated 6.0/6 from a total of 9 Rated Reviews. I loved reading for you Sue! You have a pure heart and so much creativity. You know exactly what to do. I look forward to speaking with you again! Alyssa, you are just a sparkler! Beyond delighted to have read for you! Mahalo! Karen I'm so glad that I was able to help and I will look forward to our next reading! Thank you Candice. Thought our new kitten had run away, but you were able to pick up on his energy in the house and hiding place, and so I kept searching and found him. So very grateful. Also you gave me a fantastic reading. I now have some clarity and know where I'm heading. Thank you so much. Jude, I am DELIGHTED that we found your ‘teen’ so quickly. The cards were CRYSTAL CLEAR on it! A great start to an AMAZING 2019! Amazing! Candice you just blew my mind with this reading. The things you picked up were so accurate, your description of people unbelievable. Thank you so much. Our future certainly looks very positive. G, reading for you was a delight. You have all the tools. Stay on YOUR path with certainty. You are lifted and supported in 2019 and beyond! S.L. you are a pleasure to read for! You’re strong and smart. Walking in gratitude is the magic formula! Thank you so much for being a valued client! Merry Christmas! Dear Candice. I just wanted to apologise to you because I cut you off - we had a problem here with something and I had to just go and attend to it! I thought you were pretty spot on with what you were telling me, and hope to contact you again at a later time. Thank you again Candice! Julie-Anne, you are so talented. All you need to do is shine! It was my pleasure to read for you and I will look forward to catching up again in the future. Candice is spot on! She listens and has a connection immediately, she is awesome. Pamela, you are a lion queen and will prevail with beauty, talent and heart. It was an honor to read for you. Thank you so much!